For those whose Nexus device needs to find its way home, Google has released the Android 4.4.3 factory image for the Nexus 5, Nexus 7 (2013), Nexus 7, Nexus 4 and Nexus 10. 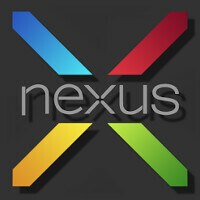 The release for the Nexus 7 (2013) does not include the version of the tablet that supports LTE. The factory image helps return a hacked and modded device back to factory conditions, in this case, with the Android 4.4.3 build of Google's open source OS running the show. These files range from 440MB to 465MB and will require fastboot set up to install. The major change to the OS can be found in the dialer app, with new color accents and a card-based process for speed dialing. Other improvements include one related to CPU usage and the Nexus 5 camera. A previous update to Skype triggers heavy CPU usage when the camera app on the Nexus 5 is opened. This leads to a severe drain on the battery, and the inability of the user to actually use the snapper. Those who would rather wait for the OTA update can choose to do so, as long as their patience holds out. Otherwise, click on the sourcelink if you want to use the new factory images. It being isn't a lie. Subjectively some people do prefer iOS. Some prefer Wp over iOS and some prefer Android over WP etc.. Its mostly personal choice.. Tbh its great that iOS is getting these features that android already had and yes it might be halfway copying. But honestly a phone with all features and copied or a phone with no features and no copied.. what would any of you prefer?. Yep... these days it is a MUST to root your phone, Google is slowly strangling its users with these stupid restrictions. WP is bringing in File manager and Android has made the file manager obsolete. IOS is opening up with widgets and gives you the option to control the apps that can access your location, but not on Android. Google started off good, but I dont see it to be the same down the road. Have you used Android 4.4.2? Am not talking about installing apps on SD card, but about file management on SD card.ie copy, rename files etc. I hope they fix the speed and stability. Running 4.4 on my Nexus 7 (2012) is embarrassing when there is an iPad in the room. And the battery drain is horrible - 1 day in standby. I wish Google would learn to copy iOS's speed and stability. Kitkat is pathetic so far. I have it on two different 2012 Nexus 7's and it works just fine. Ever think that your device is just aging? It has been out for going on two years now, and if you try to use an iPhone 4S from 2012 it's just pathetic. iOS is no posterchild for releases on old devices, each incremental upgrade they release for it makes their older phones worse. Yeah, but we are talking about tablets. There is a big difference between iOS on a 3 year old phone and Android on a 2 year old tablet. 2012 7 is a dog by 2013 standards never mind now. Quite a difference between it an 2013 7 model which made older ones at my house least used. Tegra feels bleh to me, S4 is no speed demon, but is fluent throughout. Heck yeah, now I've four phones an three tablets to update today, woot. where can i download the factory image files for GPe devices? Just hit my software update on my Nexus 5 and boom, there was 4.4.3, waiting to download.